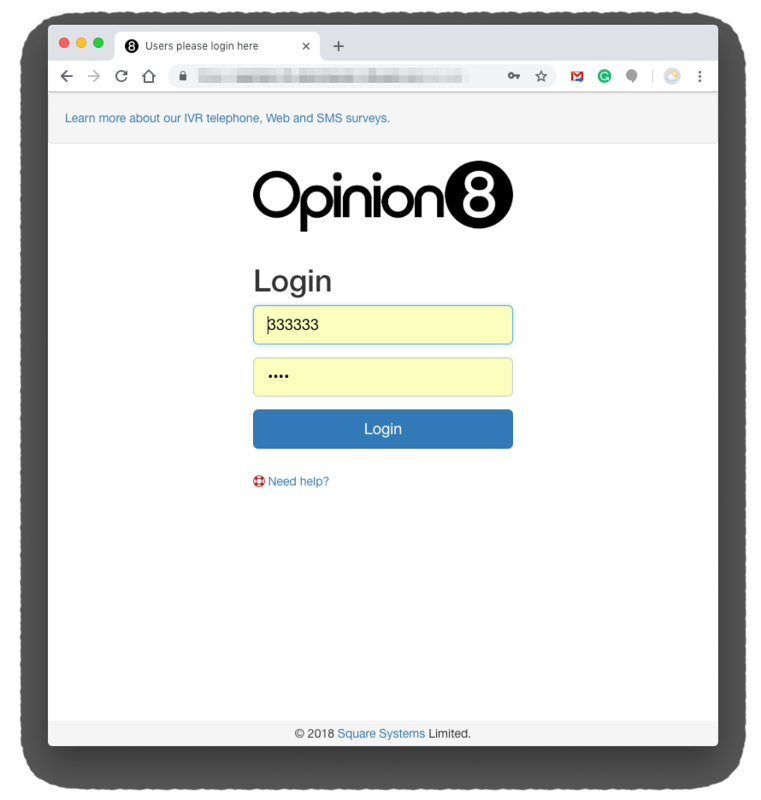 We take your data's security very seriously and have measures in place to control access to your survey results and protect your information from external threats. The results of your survey are accessible via a login-controlled, secure web portal. All modern Internet browsers are supported though Google Chrome is our preferred browser. 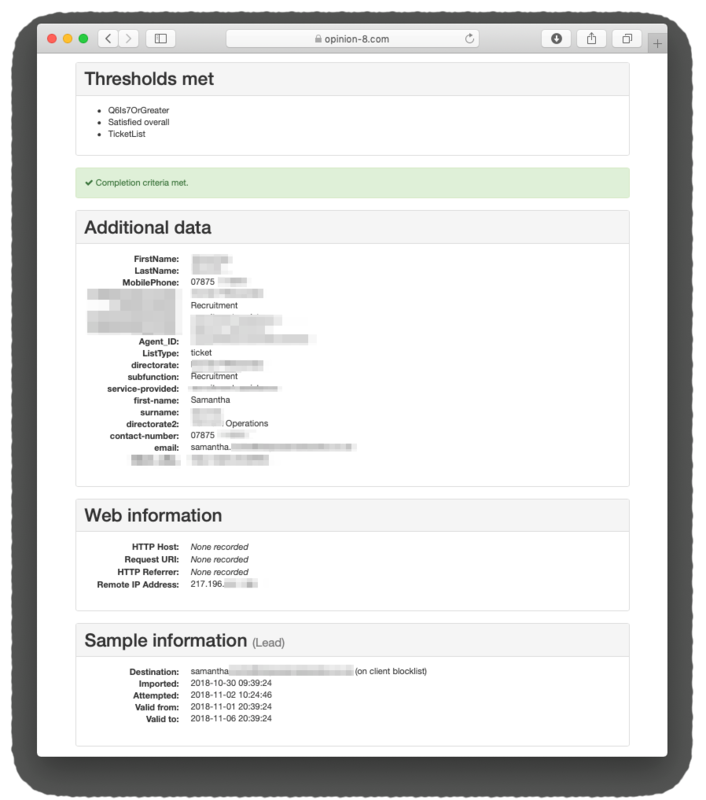 Users of the reporting portal can only ever see data that belongs to their organisation. We can even control the level of access within your organisation. By applying mandatory filters, we can determine what subsets of the data are viewable to each individual user. This could be data from their team or call centre, for example. Passwords for each user account are one-way hashed using SHA-256 with a unique salt value. On previously failed logins, or login attempts from unknown IP addresses, a captcha image will appear. After a period of inactivity, applications are automatically locked. Users must reconfirm their password to unlock the reporting site. Our graphical reports show you the big picture. We correlate your data and depcit it in clear graphs so you can begin to identify trends and analyse how certain behaviours or processes in your company affect the customer experience. Better than that, the graphs hold a wealth of detail. Hover your mouse over any part of the graph and the specifics of that section appear annotated on the report. Click on that section and you can drill down to the actual survey records that make up that part. Clarity and detail - a combination guaranteed to give you the answers you need to drive service improvements in your business. Old news is no use to a business. If you want to be an agile company, that responds quickly to change and customer feedback, you require up-to-date information. 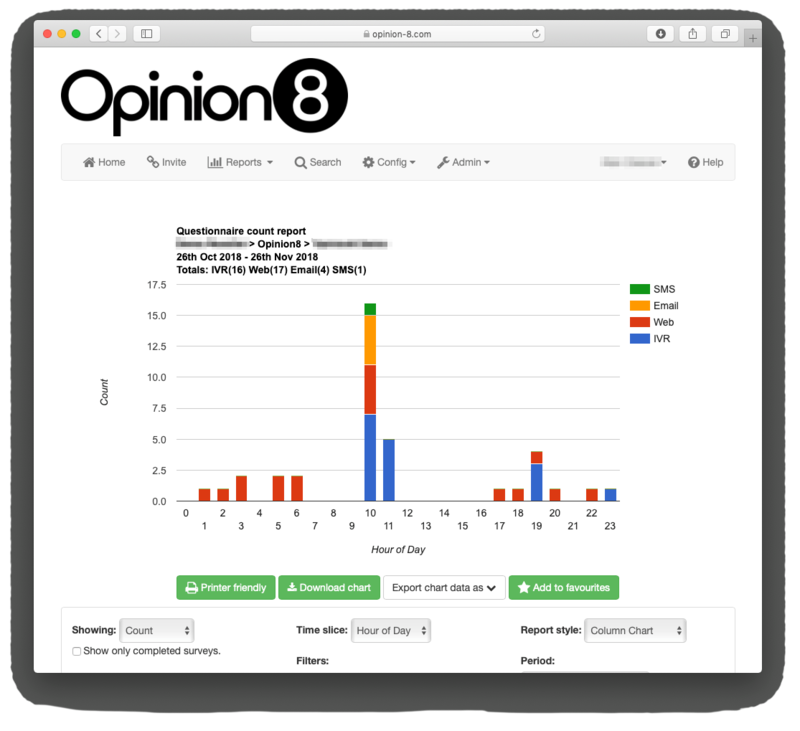 Results of Opinion8 surveys are available in real-time, both as raw data and in graphical form. Your favourite reports can update automatically on your home page and you can be alerted immediately by text message or email as soon as a customer leaves a score that falls below a defined standard. 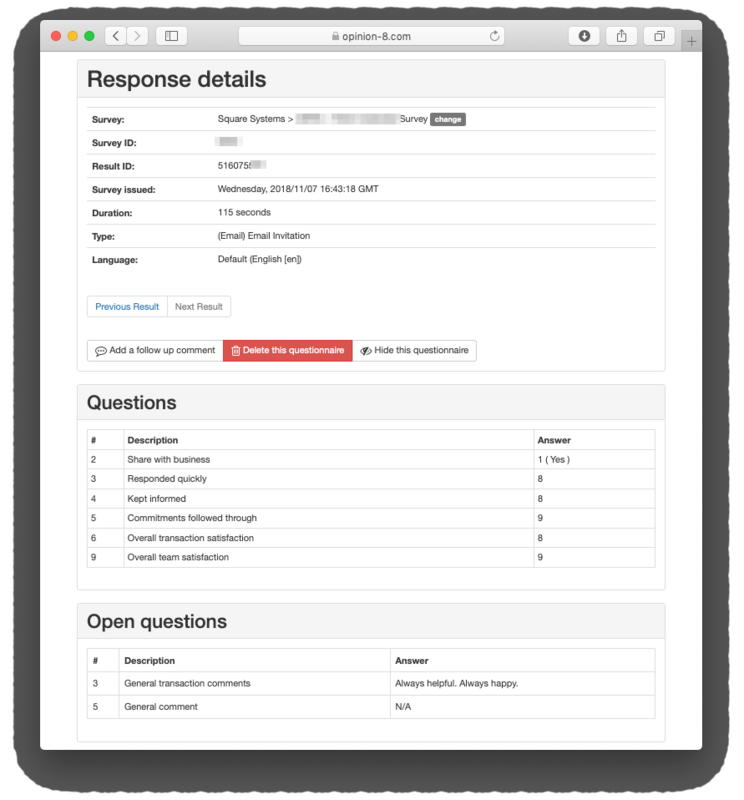 Recordings of all open questions are available to listen to immediately and any comments that need dealing with quickly can be flagged and responded to instantly turning your company's potential detractors into promoters! 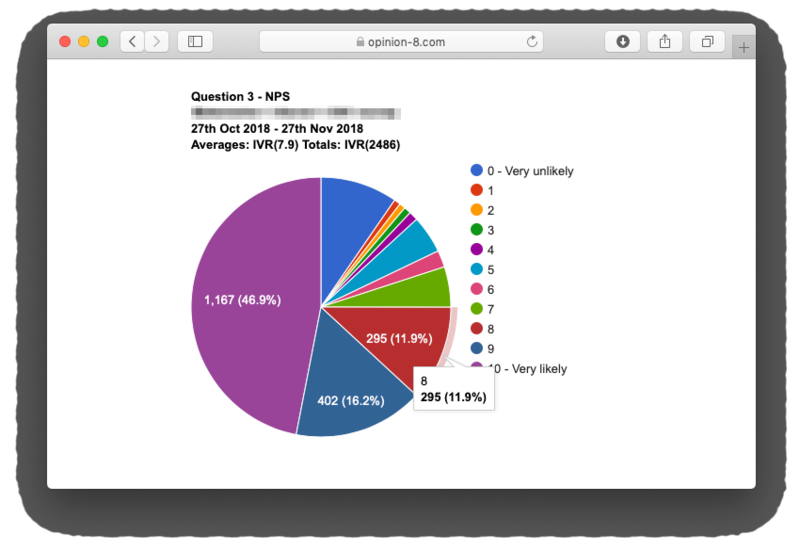 Results from your telephone IVR survey, Web survey, Email survey and SMS survey can be viewed simultaneously and separately. Identifying your biggest advocates and your loudest critics is a useful exercise to manage your company's reputation. 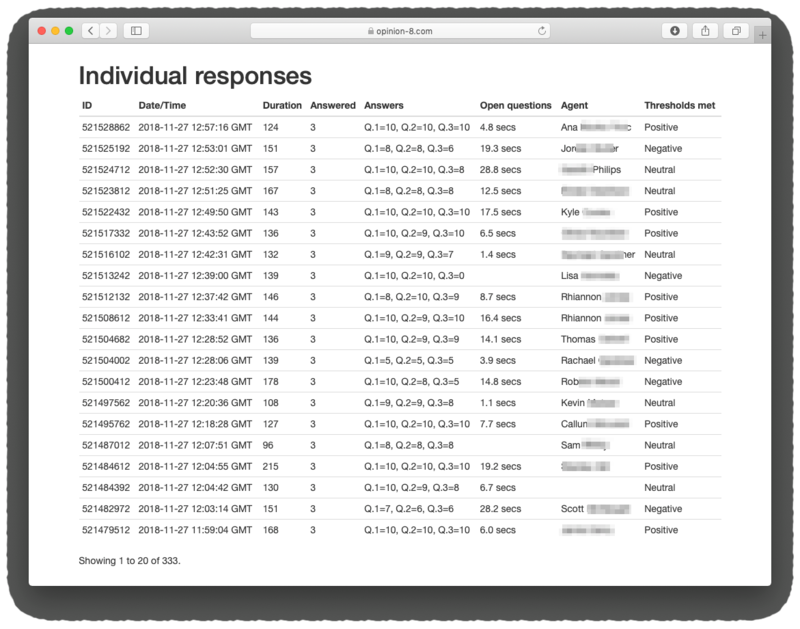 Our reporting allows you to group the highest scorers in a top box to determine your promoters, and the lowest scorers in a bottom box to see your detractors. You can measure your NPS in real-time . 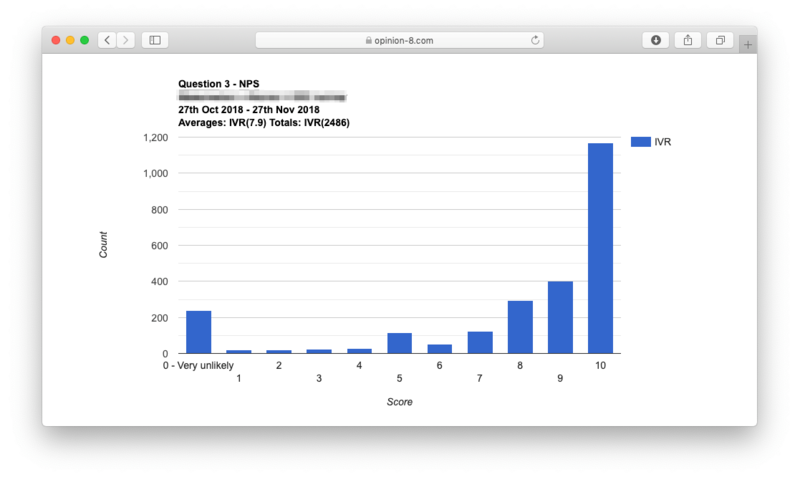 Our NPS graphs allow you to instantly gauge the loyalty of your customer relationships. 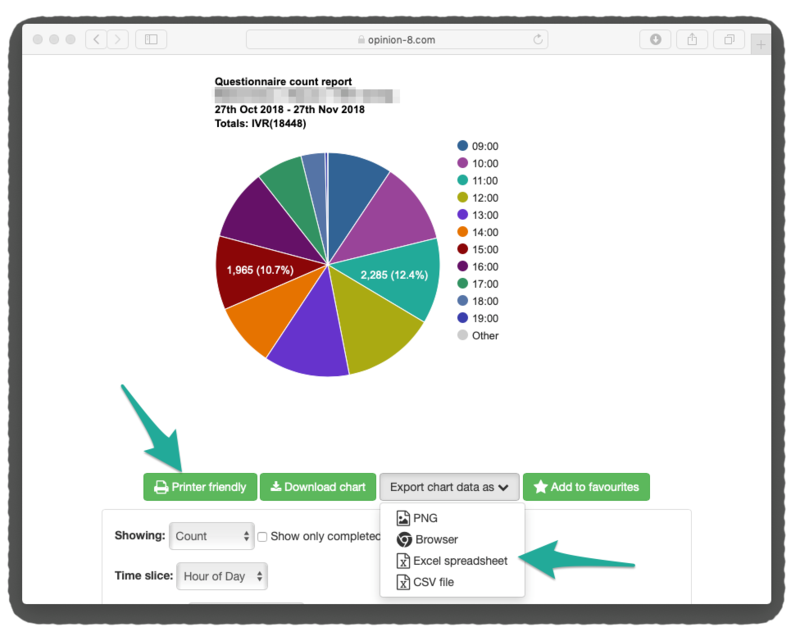 The raw data is available to download in many forms - printer friendly, copy and pastable table data, csv, Excel and insertable images. 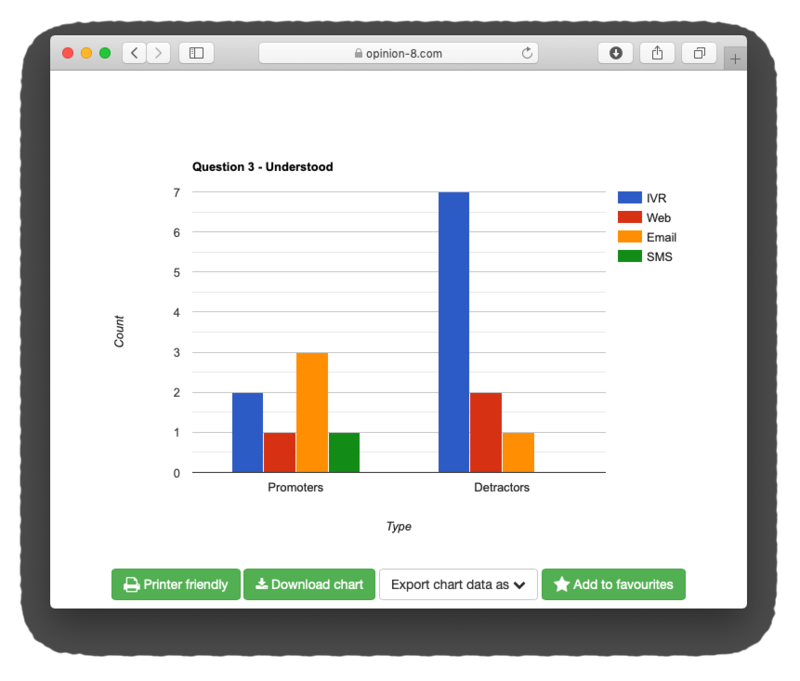 All individual responses are recorded in real-time and available from chart drill-downs. The specifics of each survey result is collated, allowing you to examine the data in real detail. 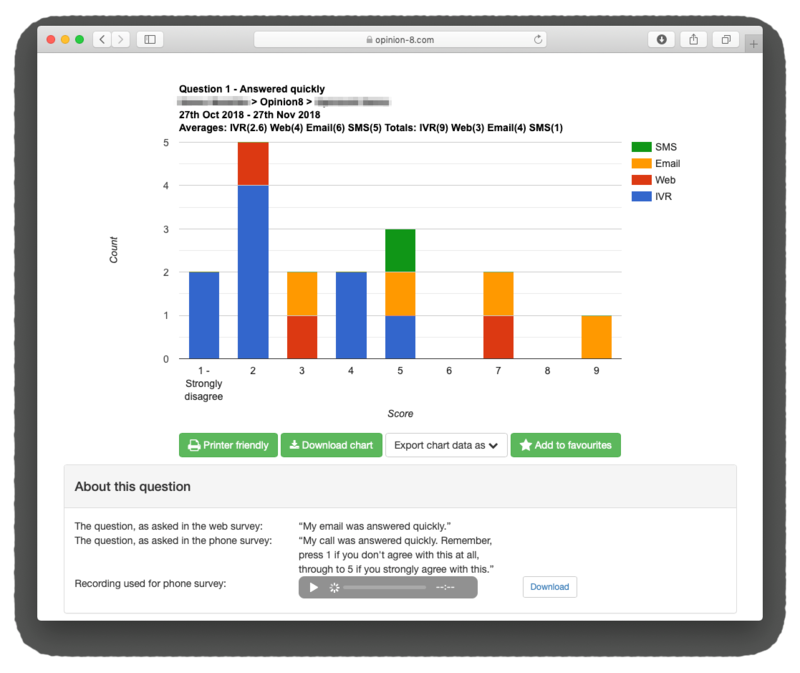 Surveys can be associated with particular agents. This can act as a very effective performance management tool, allowing you to reward those agents who are out-performing and to identify training requirements for those who are attracting customer criticism. Whether you want the big picture or the tiny details, our reporting portal gives you all the information in the clearest, most accessible way. Our reporting portal gives you comprehensive insight of every survey response, whether the survey was unattempted, complete or incomplete.